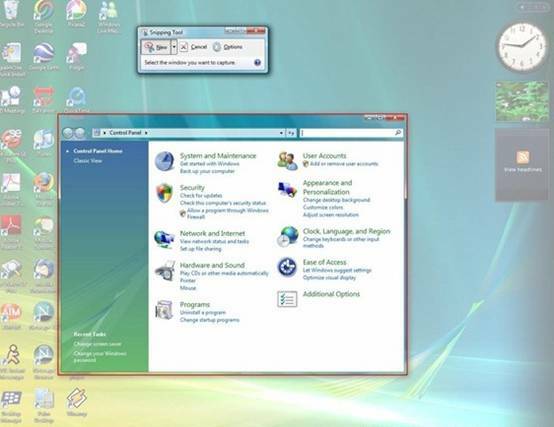 Snipping tool is an awesome utility provided by Windows 7 to capture Screenshots easily.Snipping tool is an in-built application in Windows 7. Snipping tool is an awesome Screen Capture tool which will do your work like 123 and it's done. Some people might already be aware of this amazing utility. You can use this capture screenshots of games,softwares, for any office or school Presentation,etc. It captures screenshots and can save them in a form of images. You can get access to it by searching for it in the Start menu. In the start menu, Search for Snipping tool. After you find this tool, open it. You will be able to see a tiny window in front of you. And the rest of your screen goes transparent, and the cursor changes to + which is asking you to select the portion of the screen that you want to capture. Now select the portion you want to capture. It will automatically save after you have selected your area. You can even change the format of the image, if you want to do so. There are formats supported like JPEG,PNG,GIF,etc. Now you can use this image to share it with your friends, online, any presentation,etc. Enjoy using this free tool and have fun with this amazing utility.